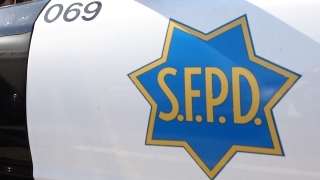 An armed robber stole drugs at gunpoint from a store in San Francisco's Richmond District on Monday morning, police said. The robbery occurred around 9:50 a.m. in the first block of Point Lobos Avenue, according to police. A Walgreens is located in that block. The suspect, described as a man around 20 years old, entered the store, approached a 27-year-old store employee and pulled out a handgun. He then went to the other side of the counter and demanded that the victim hand over medications, police said. The suspect opened a cabinet where the medicine was kept, put items into his backpack and fled on foot, police said. The suspect remained at large as of this morning, police said.